Cook Corn & potato with salt. 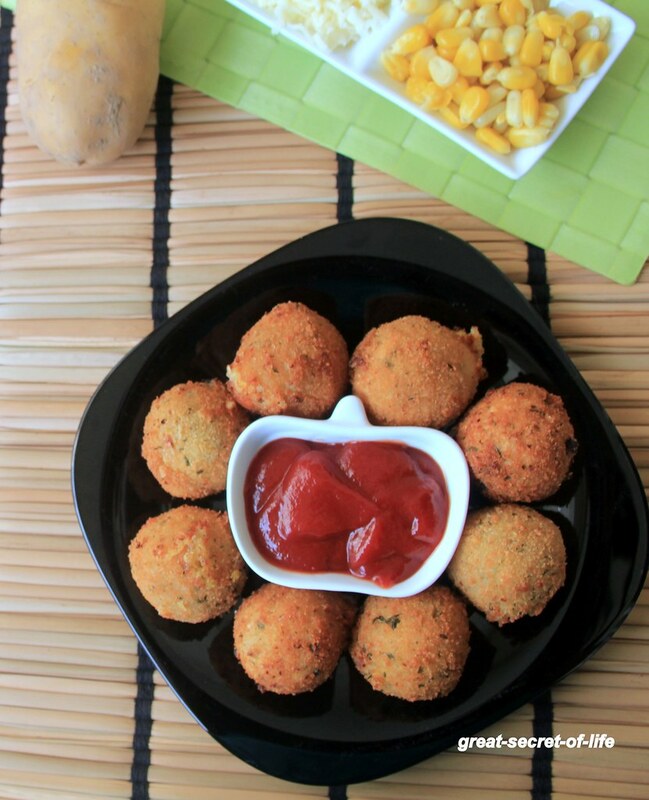 Remove the Corn Kernels and remove skin of potato. Grind corn with 1/2 teaspoon pepper, dried Oregano and salt. Mash potato. Add grinded corn, Grated cheese. Make a smooth paste. 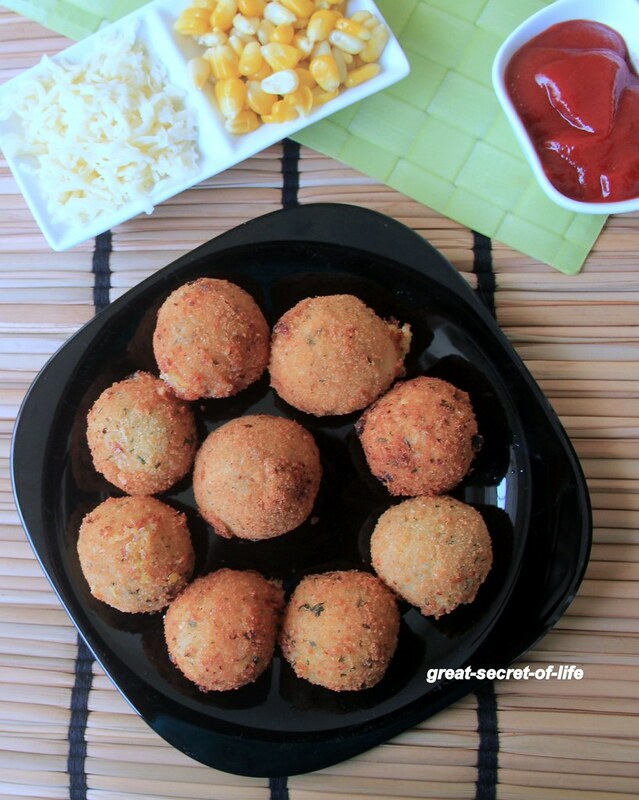 Mix Corn flour, All purpose flour, salt and 1/4 teaspoon of pepper. Mix with water to make thick paste. 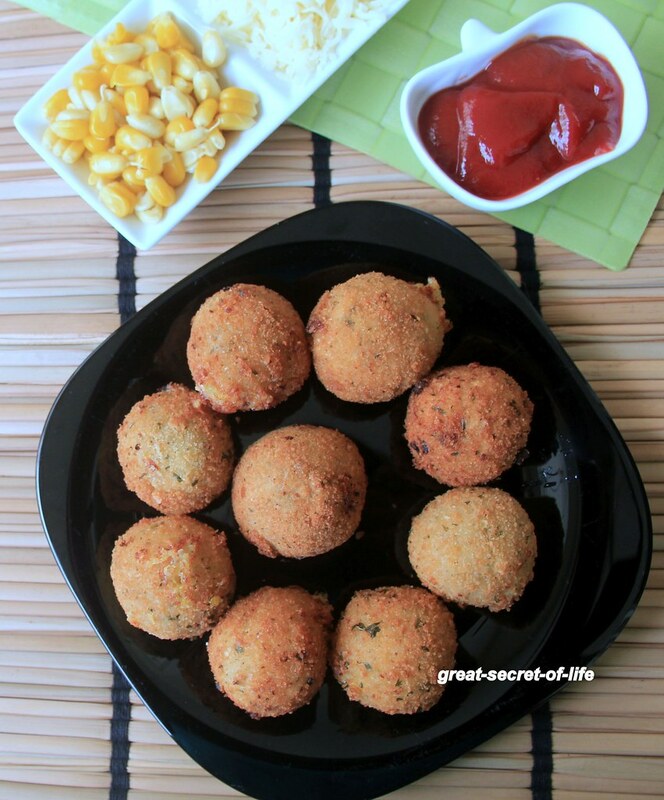 The corn cheese balls look so crispy, just so very tempting..
Yummy and cute looking balls!! Lovely video Veena! !